Why LocoNav’s Fleet Monitoring System? Stay confident about the safety of your vehicle, wherever it goes. Utilise LocoNav’s fleet monitoring devices to protect and monitor your asset from theft or harm. Lock and unlock your fleet of vehicles from remote locations with Loconav’s mobile app. and be assured that your vehicle won’t start without your permission. Get live over-speeding alerts, alerts on entry and exit points, monitor idling in real time, etc. Employ fleet vehicle monitoring to manage the services and maintenance alerts for your fleet. Get diagnostic, mileage and health report of your fleet so that you can worry less about your vehicle’s well-being and focus on optimising your business operations. Whether your fleet is in the repository or on the road, don’t think twice about your fleet’s security. Track the location of your fleet from your office and get alerts whenever your vehicle starts. LocoNav’s fleet GPS monitoring and FASTag can help you in saving on fuel expenditure and other operational costs. Track the behaviour of your driver, reduce excessive idling time and save big on fuel charge. I bought a vehicle tracking system from a local vendor & was very disappointed. LocoNav's vehicle tracking system. is very accurate. Vehicle theft is very common in my area. With LocoNav, I am able to control the ignition of my vehicles right through the mobile app. LocoNav makes life hasslefree. Due to traffic congestion in and around where I live, I wanted an app to keep a check on the timely delivery of my consignments with LocoNav's powerful app. Transporters in India are forced to run vehicles with extreme inefficiency and poor security. LocoNav is determined to change that. As your business expands, you can count on us to be the one-stop shop for all your fleet GPS monitoring needs. With LocoNav’s fleet monitoring devices, your fleet can navigate through cities with no difficulty. Follow metrics like optimised routing, engine health, fuel consumption, ignition status, and much more with our fleet vehicle monitoring. Your business has great potential, and you can catapult that by investing in a fleet monitoring system. LocoNav’s fleet monitoring devices can enhance various verticals in your organisation. With real-time data regarding your fleet performance and location, our fleet vehicle monitoring can aid you in improving your service facilities and in complying with industry mandates. Customer satisfaction is bound to improve when they receive constant updates and reliable shipment status with a fleet monitoring system. Make safe driving behaviour a standard with LocoNav’s fleet monitoring devices. Your employees will feel safe and secure with options to make emergency SOS calls. Moreover, you can track over speeding and hard braking by employing fleet GPS monitoring. Your business will run seamlessly by avoiding fleet breakdowns on the road. You can optimise your supply chain with fleet monitoring. Indulge in a systematic exchange of information by means of our fleet GPS monitoring. Get updated shipment information and send data to vehicles in transit. 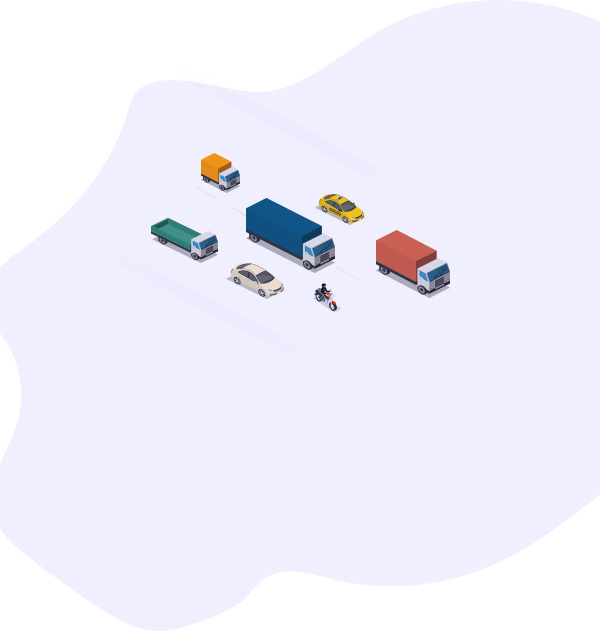 With fleet monitoring, you can ensure that your deliveries are on track and get notified about delivery delays or vehicle breakdown. As per recent developments, the Indian government has made it mandatory for all commercial vehicles to get AIS 140 certified vehicle trackers and emergency buttons. The idea behind this mandate is to allow vehicle owners to strive to meet all the necessary specifications. The requisites for AIS 140 revolve around comfort, safety, efficiency and quality of service. And to partner with you on this journey, LocoNav provides you with government- mandated AIS 140 certified devices that come with the perfect blend of camera/satellite surveillance, emergency request and vehicle tracking. Our fleet monitoring system allows you to meet your delivery deadlines, and strengthen your customer base. You can digitize your business operations and see optimum growth with our services. We help you streamline your fleet operations in an effective fashion. Stay updated with the real-time location of your fleet and build a transparent communication channel with your crew on the road. You can change the face of India’s transportation sector by investing in LocoNav’s Fleet GPS Monitoring. LocoNav aims to deliver a single platform to run your entire fleet operations through telematics. Our mission is to solve all issues that act as roadblocks for the fleet industry. We help businesses overcome hese problems and work as a one-stop solution for optimized fleet management solutions.